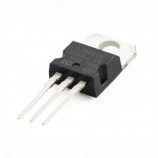 The LM317 3-Terminal Adjustable Linear Voltage Regulator used in DC to DC converter applications. 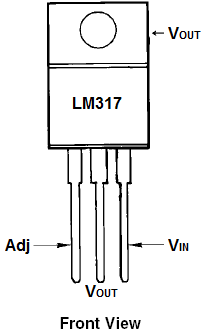 The overall function of the LM317 is similar to that of the LM78xx series regulators. 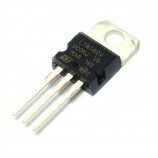 Whereas the 78xx series of regulators have fixed output voltages (ex. 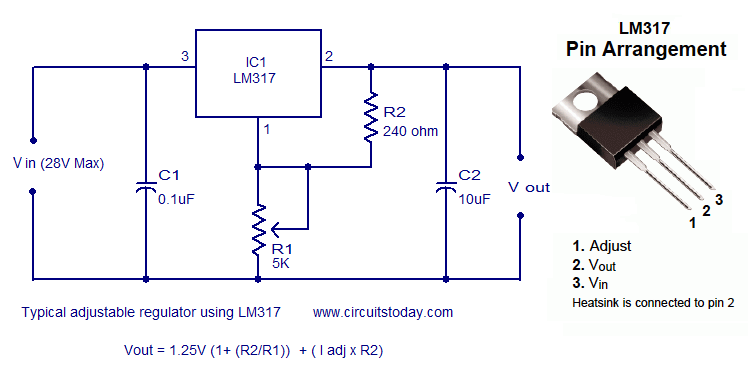 7805 has 5V output), the LM317 can be adjusted to any voltage (within its limits). Output-Current In Excess of 1.5 A.
Output-Adjustable Between 1.2 V and 37 V.
Output-Transistor Safe Operating Area Compensation . 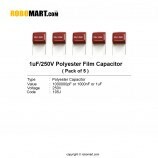 Protection for devices having specific voltage sensitivity. 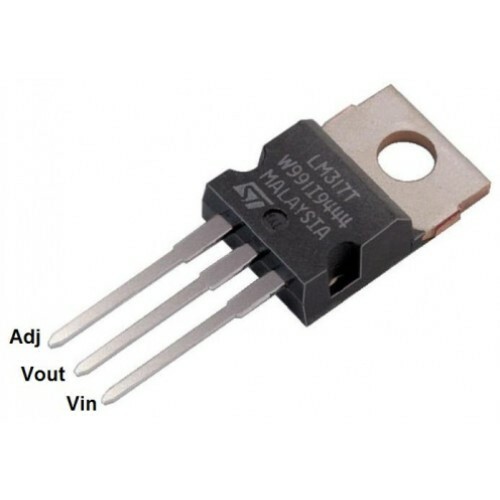 DIY projects requiring specific voltage from an existing higher/ varying voltage supply. 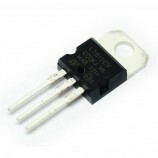 Also Searched as : lm317, lm317 voltage regulator, lm317 ic, lm317 datasheet, lm317 circuit, lm317 pinout, lm317 voltage regulator circuit, lm317 regulator, lm317 current regulator, lm317 adjustable voltage regulator, lm317 regulator circuit, lm317 dropout voltage, lm317 linear voltage regulator, lm317 3-terminal voltage regulator, dc voltage regulator, how to use lm317 voltage regulator.